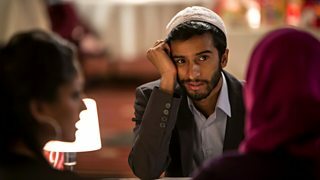 Editor's Note: Shakeel Ahmed is the writer of the original drama short for BBC iPlayer My Jihad. This blog post was published to accompany the launch of the pilot episode of My Jihad in 2014. Here’s a disclaimer; my experience is minimal enough for me to realise that I have no advice to give. Besides, writing is not prescriptive. It is a fluid and dynamic endeavour, and the rules are constantly in flux. The only thing I have to offer is my own personal thought-process. Let’s present a hypothetical scenario; you have been told by a potential commissioner to pitch a story. You have been told not to worry about budgets and logistics. You have been told to let your imagination run wild. There is no brief. When I was fortunate enough to find myself in this position last year, I knew without any hesitation that the story I wanted to tell featured two characters having a conversation on a bus. Words are powerful. Words can maim but also mend. Words can harm but also heal. We reveal an immense amount of ourselves through our speech; the words that we use, and those that we choose not to use; our tones, pitch, rhythms, cadences; even the gaps between our words tell the listener something about us. To converse is to connect. 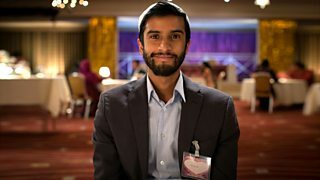 With society becoming ever more splintered and the Facebook-Twitter generation experiencing life more and more through a virtual prism, there was something incredibly exciting and immensely old-fashioned in writing a story that simply had two people engaging in an earnest face-to-face conversation. Of course, I couldn’t guarantee that anyone else agreed with me. There was always the possibility that my idea would get laughed away and tossed onto the rubbish heap. But this was the story I wanted to tell. It was the story I HAD to tell. And this may be the greatest lesson I can take away from the process. Let’s go back to that line at the top of this post; writing is not prescriptive. It may take time and numerous rejections, but a writer will eventually learn that it’s impossible to second-guess the decision-makers. There are too many variables at play. All the writer can do is attempt to write the best script he/she can muster. Write-what-you-know, the experts say. Why? Because that will be the best thing you write; filled with the most sincerity, passion and insight.